The signature event of Singapore Tatler Homes returns for its second year—here are the winners. The second edition of our signature event returns, celebrating the stellar projects by the local design scene. 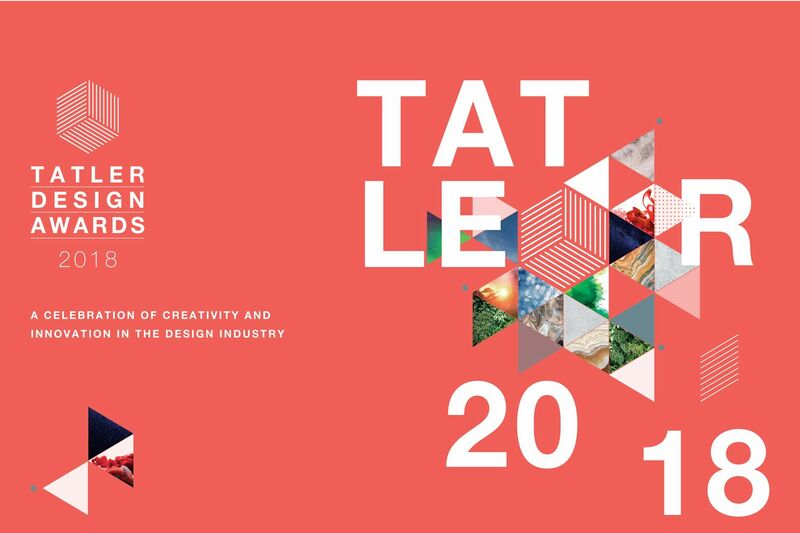 This year, the Tatler Design Awards introduces three new categories—Design Project of the Year, Architecture of the Year and Innovation of the Year (presented by Flexform, Greenlam and LG, respectively)—each selected by a judging panel comprising Singapore Tatler Homes editorial team and Design Singapore Council representatives. A collaborative installation, Neo-Tropical: Designing in the Time of Climate Change, is also exhibiting at the National Design Centre from 2-25 February. Featured in the February 2017 issue, this Goldhill Avenue residence of Andre and Belinda Huber—the executive director of Huber’s Butchery and the director of Baby Style Icon, respectively—was a hit with readers for its sophisticated approach to family-centric living. The Hubers turned to Bu Shukun, design director of Architology Interiors, whose open-plan concept strategically utilised design elements to create distinct zones. A true expression of the homeowner’s passion for landscaping, businessman Patrick Khoo’s tropical resort-themed abode (featured in April 2017 issue) left an impression on our readers. Taking cues from nature, Khoo and Designworx Interior Consultant design director Terri Tan worked closely to create a family abode in which the interiors complemented the property’s lush greenery. This striking trio of connected homes, featured in the August 2017 issue, wowed readers with its unique concept—the families of two sisters and their parents are housed in three pentagonal abodes within a single sprawling property. The RT+Q design team, led by architect Koh Sock Mui, rose to the challenge of creating a unified compound that embraces the comforts of communal multigenerational living while simultaneously giving each family the privacy of a cosy residence to call their own. With its earthy design scheme and elegant rose gold accents, this two-storey urban oasis—featured in the December 2017 issue—charmed our readers. Jeremy Tay and Michael Ong, co-founders of Prestige Global Designs, transformed the penthouse into a personalised abode using neutral tones and classical mouldings for a luxurious feel, while adding eclectic details to reflect the owners’ style. An opulent abode by Renaissance Planners & Designers, which was inspired by Nordic architecture. Proof that less can indeed be more, this modern minimalist abode captivated readers when it was featured in the June 2017 issue. With an angular exterior silhouette inspired by Nordic and Brutalist architecture, this striking house is the brainchild of Kelvin Bing, design director of Renaissance Planners & Designers, whose clients gave him free rein over their residence. The bungalow exemplifies understated opulence with its black marble flooring, minimal decoration and ample use of glass that cleverly reveals the serene lap pool as well as the tropical foliage outside. One of the most popular features in the December 2017 issue was the newly built home of Wendy Smith. Her eye-popping abode showcases her penchant for patterns and pays homage to the area’s heritage with Peranakan-inspired architecture. Smith worked with her Design Intervention colleagues, including principal Nikki Hunt, to craft this distinctively modern residence. Designed as a creative space to foster interdisciplinary collaborations, the mixed-use compound serves as the headquarters of The Mill Group, and will include communal work and dining spaces as well as retail outlets. The project also marks the 20th anniversary of The I.D. Department, an interior firm under the group, as well as the evolution of the design consortium—three firms under the group will henceforth be known as The Mill Studios. Soaring above the Bugis precinct, Duo manages the impressive feat of crafting more verdant spaces within the city while adding a distinctive silhouette to the Singapore skyline. Developed by M+S and designed by architecture practice Büro Ole Scheeren, the twin towers of Duo feature honeycomb-like cladding and concave voids that make the slender structures appear as if they were partially dematerialising towards the ground level. With a storied history that dates back to 1895, The Warehouse Hotel by the Lo & Behold Group is a stunning example of adaptive reuse. Designed in partnership with architecture studio Zarch Collaboratives and creative agency Asylum, this hotel references its past as a depository for spices while carving out a modern identity. This story was adapted from Singapore Tatler Homes February-March 2018. Read more about the Tatler Design Awards here.